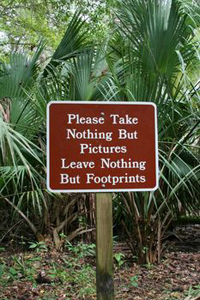 Park and trail signs play an indispensable role in any outdoor recreation experience. From entrance signs to smaller trail markers, we can help you design and create signs that get noticed and convey valuable information. We provide you with a menu of options for your park sign, including hand carving, painted signs and even gilded to make it greatly visible. Contact us for a free consultation to begin the process of designing your unique park and trail signs.